Introducing our newest shape. 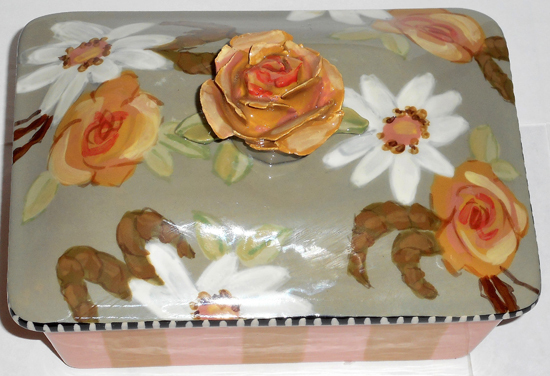 A Rose Knob-ed Jewelry Box. We can also paint any one of our many patterns on this new shape for you. Just call (508)932-2574, and we'll be glad to assist you in making that happen. Or when placing this order on the website, just write in the "comments" section what pattern you'd like on your jewelry box.